The University will host several events for Brain Week R.I. this month, including the second annual Brain Fair; Mind Brain Research Day will follow less than two weeks later. PROVIDENCE, R.I. [Brown University] — Brown University will join in celebrating Brain Week R.I. from March 11 to 19 with a slate of events ranging from film screenings and a family-friendly brain fair to lectures by high-profile speakers. And later in the month, on March 28, more than 100 researchers will gather on campus to present their latest work at the Mind Brain Research Day poster session and lecture. Brain Week R.I., organized by the Providence-based national research advocacy organization, Cure Alliance for Mental Illness, will include events all around Providence and South Kingstown. It is sponsored by the Brown Institute for Brain Science and the University of Rhode Island’s George & Anne Ryan Institute for Neuroscience. During the inaugural festivities last year, organizers said, more than 1,500 residents attended various events. Brain Week will open on Saturday, March 11, with a brain art contest and science fair for high school and middle school students at ¡CityArts! for Youth, 891 Broad St. in Providence, organized by the Brown chapter of the Society for Advancement of Chicanos/Hispanics and Native Americans in Science. Sunday, March 12, at 2 p.m: MacArthur “genius grant” recipient Elyn Saks, professor at the University of Southern California’s Gould Law School, will speak. Saks lives with schizophrenia and is an advocate for people with mental illness. 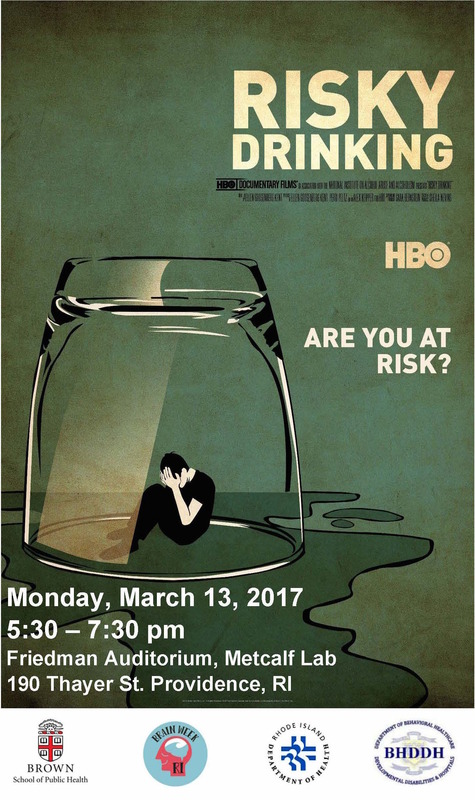 Monday, March 13, at 5:30 p.m.: The School of Public Health will screen the HBO film “Risky Drinking,” which looks at the hazards of alcohol use and how the medical community approaches problem drinking. It is co-produced by Brown alumna Perri Peltz. After the film, four experts from Brown’s Center for Alcohol and Addiction Studies will lead a discussion. Wednesday, March 15, at 4 p.m: Richard Huganir, president-elect of the Society for Neuroscience and professor at the Johns Hopkins University School of Medicine, will deliver a lecture. His research focuses on how the brain employs neurotransmitters to constantly form and change connections among neural cells. Thursday, March 16, at 10:30 a.m.: People of all ages are welcome at “Dance for our Aging Population” a class that helps participants increase coordination, strength and flexibility. Led by Rachel Balaban, adjunct lecturer in theater arts and performance studies, the class will be introduced by Brown medical professor and Rhode Island Hospital neurosurgeon Dr. Wael Asaad. Thursday, March 16, at 4 p.m.: Three experts will speak at a panel discussion on stroke, the leading cause of adult disability in North America and the fifth most common cause of death. The experts will discuss strategies for improving survival and minimizing disability from a common form of stroke. Thursday, March 16, at 7 p.m.: The Brown University Film Forum will screen the movie, “The Skeleton Twins,” in which Bill Hader and Kristin Wiig play twins who are reunited after attempting suicide. Two speakers from Brown’s Counseling and Psychological Services center will lead a discussion following the film. Sunday, March 19, at 10 a.m.: The popular Brain Fair returns to Brown with a wealth of family-focused interactive demonstrations and hands-on exhibits ranging from psychology to brain anatomy. Mind Brain Research Day begins in Sayles Hall at 10:30 a.m. on Tuesday, March 28. Scores of researchers from Brown and affiliated hospitals and partner institutions will present posters of their most recent research. Pre-registration is free and encouraged. After the lecture, organizers will announce the awards for the best posters.